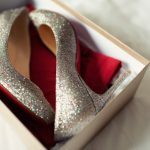 DIY Wedding Workshop: What can you learn! Last Sunday we held one of our DIY wedding workshops at the fabulous Bake and Crafthouse in Cranbrook. Crafting expert Kate took our workshop attendees through their paces setting them to work on bunting, stationery, place cards, pom poms, favours and table settings. Here is just a little taster of what we did on the day. 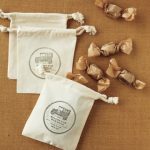 You can also get instructions on making the cute favour bags and edible favours by clicking the links. As much as I love DIYing I do sometimes have to admit defeat and realise that actually I can’t make it any cheaper than buying it in from a professional – especially not when I add my limited time into the equation. Suppliers can buy in bulk, have all the right equipment and can do a professional looking job. Hobbycraft and your old glue gun sometimes just won’t measure up and it’ll cost you more in the long run. You’ll need lots of time and energy if you’re making everything from scratch. Do a reality time check. If you work 12 hours a day, 5 days a week then things might get a tad stressful for a novice DIYer especially in the run up to the big day. If you don’t think you can fit it in think about getting help and plan accordingly. Now even if you have managed to get everything done on your DIY schedule do think about the big day itself and how much setting up will be needed. If you have lots of DIY elements from bunting to pom poms or table settings, photo booths and sweet tables you’ll need to schedule in how you are going to get it all to the wedding venue and how long you’ll need to set it up. Check with your venue when you can get in to start your decor and when you’ll need to clear them all out by. Plan accordingly and make sure you have enough pairs of hands to get everything done in the time allowed. If you would like to go on the waiting list for our workshops in early 2014 then please email hello@theweddingdolls.co.uk and we’ll be sure to let you know the exact dates very soon. If in the meantime you need any help or advice with your DIY wedding, styling or how to go about setting up on the big day do give us a call – we love to chat DIY weddings! P.S Kate at the Bake and Crafthouse does fantastic craft hen parties – get those hens to help!! If you’re getting married over the summer and have DIY elements in your big day now is the time to start planning them. 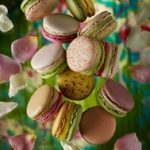 Whatever your level of creative skills you can’t go wrong with some basic edible favours and here our DIY expert Kate from the Bake and Crafthouse shares three simple ideas with you. Over to you Kate! Shortbread is so simple to make, tastes delicious and is not at all expensive. You could cut shapes to match your theme, hearts, flowers for a spring wedding or bunnies at Easter! The recipe is easily multiplied up to make whatever quantity you need as it is just equal parts of butter and plain flour to half the quantity of sugar and rice flour. You can add chocolate chips or lemon zest to the basic recipe or drizzle with chocolate after they have cooled. A mix using 50 grams of butter will give you about 10 biscuits so if you need 100 favours then you would need 500 grams (2 packets) of butter. Weigh all the ingredients together in one bowl. Rub together using your fingertips until evenly combined and resembling the top of an apple crumble. Continue to mix, rubbing the ingredients together an eventually it will form a ball of dough. The dough is quite crumbly and delicate but you should be able to gently roll it out to about ½ cm thicknees and cut your shapes. Place on a baking tray greased and lined and bake for 8-10 minutes at 180 degrees Celcius until light golden. Cool on the trays and they can easily break while still warm. If you make a firmer biscuit dough (usually with egg in the mixture) then you can cut out more complicated shapes or print lettering into the top of the biscuits that will still be visible once they are baked. Fudge is one of everyone’s favourite sweets. It also keeps really well so can be made well in advance of the big day and packaged up ready to go. It takes a little patience to make and you will require a baking thermometer but it is fun and easy to make in large quantities. The recipe below will make a large tray full (25X25cm). 1. Heat the water in a large saucepan and melt the butter into it. 2. Add the sugar and syrup and bring to the boil stirring constantly. 3. Once boiling, stir in condensed milk and carry on simmering until you reach ‘soft ball’ temperature on the thermometer. 4. Remove from the heat & beat vigorously with an electric mixer for about 10 minutes. It will begin to cool and thicken. 5. Pour into a greased and lined tray & leave to set in the fridge. Cut into squares and package up as favours or cut heart shaped using a cookie cutter and serve with teas and coffees. If you really can’t make your own then you can cheat by giving the most traditional edible wedding favour of sugared almonds. Packaged up in handmade cute favour bags (see my previous blog on how to make them here) to add a really personal touch. Traditionally, five almonds are given to represent fertility, longevity, wealth, health and happiness. The bitterness of the almond and the sweetness of the coated candy are a metaphor for the bitter sweetness of a marriage. If you don’t want to use almonds then buy retro sweets, heart shaped choccies or your own favourite confectionery! Today we have a fabulous new business to showcase on the blog from a brilliant Kent supplier. Amanda, the designer and creator of Brooch Bride, is originally a northern lass from Newcastle but has been in Kent for nearly 10 years. Amanda started out as a florist and was in the trade for over 2o years until she launched her new business creating bridal bouquets and accessories completely from buttons and brooches. Lets find out a little bit more from Amanda…..
“Each Brooch bouquet I make is entirely unique and very much a one off, no two pieces will ever be completely the same. I handcraft the brooch bouquets as a reflection of each Bride. From gothic and dark to colourful or sparkly, the intricacy within the brooch bouquets uses amazing detail taken from the wedding theme itself or simply whatever the Bride loves. See Amanda’s designs first hand at the Vintage and Unique Wedding Fair at Scotney Castle in September or visit the website to see the full range and order online. Amanda is offering all Wedding Dolls readers an exclusive 10% discount when you pay the deposit before December 2013. Just quote “The Wedding Dolls” when ordering. 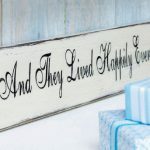 Win A Fabulous Personalised Guest Book from Illustries Worth £69! Hello All! Today there no ordinary guest books here. Oh No. The ladies over at Illustries have worked their own brand of magic to offer you the chance to win one of their fabulous personalised Guest Books. The books are absolutely brilliant and so unique, giving your guests the chance to draw pictures, doodle stories, write messages and lots more. 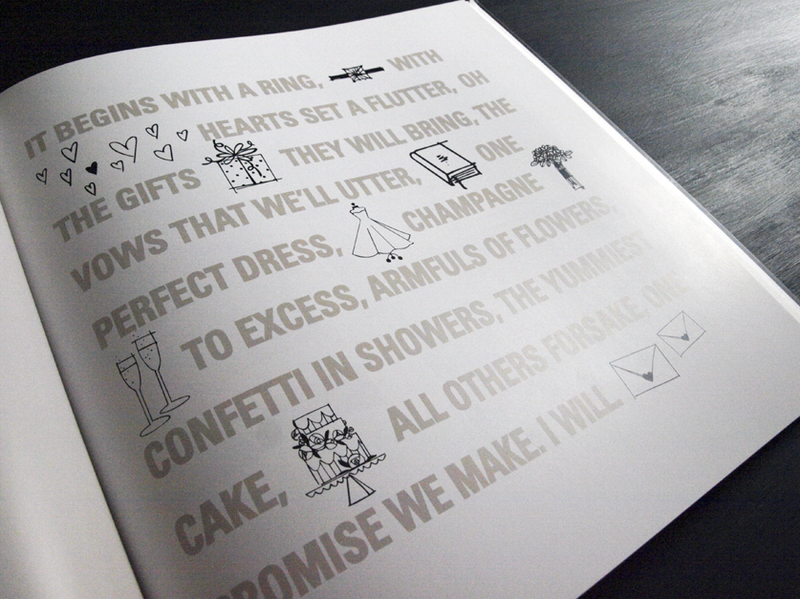 They are guaranteed to keep guests entertained and leave you with a very special memento of your big day. As part of the competition the lucky winner will get to add their names, wedding date and signature colour to their prize. The guest books normally retail at £69 so what are you waiting for! All you need to do to enter is “Like our Facebook page, then share the competition post and hey presto you’ll be automatically entered. 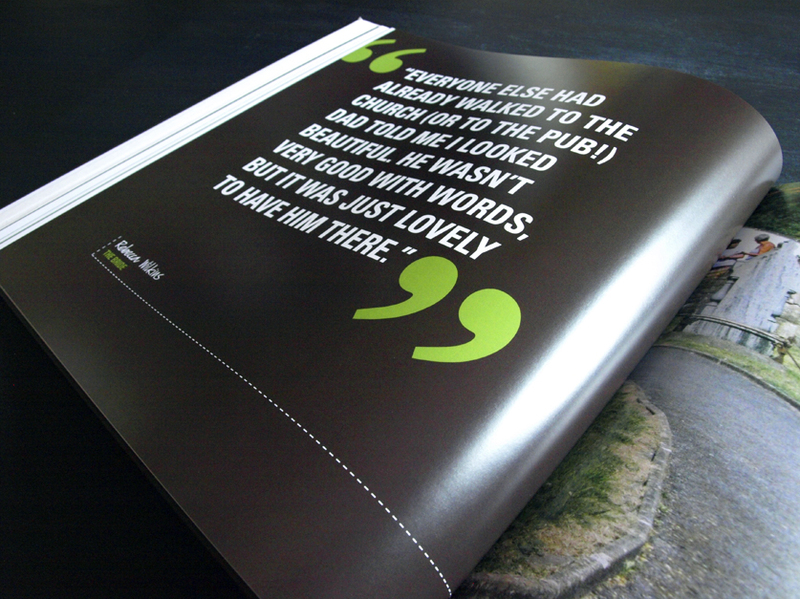 The Small Print: The competition closes on Friday 9th August 2013 when the winner will be chosen at random. Please note that the competition is open to individual Facebook entrants only and not business pages. Winners will be notified through Facebook and a UK delivery address for the book will be required from the winner. No correspondence will be entered into, prizes are as stated, are not transferable and there is no cash alternative. Prizes may be substituted for equal or greater value if the stated prize becomes unavailable. If you are a winner, you must claim your prize within 28 days of being notified otherwise the prize will be forfeited and another winner chosen. The prize will be sent directly from the supplier to the winner. Please allow 28 days for delivery of your prize from the date you contact us to claim your prize. As we all celebrate the birth of a Royal baby boy, The Wedding Dolls are very proud to announce their very own new arrival. 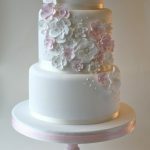 We have teamed up with the Bake and Crafthouse in Cranbrook to bring you DIY Wedding Workshops. 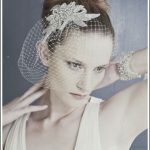 At these very special workshops you will be able to find out how to plan a fabulous DIY wedding. Perfect if you have a dry hire venue or are about to get all creative and make lots of your own wedding pretty. We’ll be there as usual to guide you through the DIY planning process with lots of hints and tips to help you create a handmade wedding, without all the stress! Craft expert Kate from the Bake and Crafthouse who will be on hand to get you down and dirty with fabulous DIY ideas including stationery, favours and gifts, plus brilliant finishing decorative touches to really make your venue sparkle. You’ll get the chance to get stuck in and have a go and leave for home ready to get creative with oodles of confidence! Only limited dates are available so click here now for more info. Ps You can see just some of Kate’s handy work here with her post on three very cute DIY wedding favour bags. For all you DIY wedding fans out there, we have a special treat for you today. The super talented and creative Kate from the Bake and Crafthouse in Cranbrook, has been working up some of her special crafty magic for us and is sharing with you three ways to make these super cute wedding favour bags. 1. Make a paper template adding 1cm extra on to three sides and 2cm extra added on the top edge for seam allowance. 2. Fold down the 2cm at the top and stitch on place 1cm from the edge to create a tunnel (this is for the string). 3. Fold in half inside out and stitch down the two open sides 1cm from the edge to create a pouch. 4. Trim away the excess fabric in the corner and turn the right way out. 5. Attach a safety pin to the end of a piece of string and thread it all the way through the tunnel from one side to the other. 6. Thread on a bead for decoration and tie the ends of the string to finish. You can use any type of paper for these simple favour bags. I have used some lovely gardening pages from old magazines, but you can use anything you like from wrapping paper to comic books. They are perfect for a handful of sweet treats. You can play around with the sizes and just adjust your rectangles to make the perfect size. Making a template is a good idea if you have lots to do. 1. Make your template (if required) and cut out a rectangle of your chosen paper. 2. Fold in from both long sides so the paper overlaps in the middle by about 1-2cm. 3. Glue or use double-sided tape to secure this opening closed. 4. Stitch along one end, 1cm from the edge. 5. Fill with your chosen favour and stitch the top closed at a 90 degree angle to the first line of stitching. At this point you can include a little paper name tag like the ones shown. 1. Cut squares of patterned paper using pinking shears (I used a square 12X12cm) and squares of greaseproof paper or cellophane slightly smaller (I used 10X10cm). 2. Place the greaseproof paper on top of the patterned paper and stitch around three of the sides. 3. Fill with your edible favours, chocolate drops, biscuits or sugared almonds. 4. Sew up the fourth side and add a message or name tag if you like. Thanks so much to Kate for sharing her fab ideas with us and she’ll be back soon with her next Dolly DIY Wedding post when she’ll be showing us fabulous ideas for edible favours. In the meantime if you fancy a crafty hen do with Kate at her gorgeous Cranbrook studio find out more here. If you’re a style-savvy couple needing a dream gift list that is full of gorgeous brands and inspirational products for your home then Prezola is the interiors directory you’ll want. This unique, one-stop gift registry has an impressive 30,000 products and experiences handpicked from 100 of the UK’s favourite high street and online retailers including House of Fraser, M&S, Notonthehighstreet, Selfridges, Liberty, Heals, Cath Kidston and The White Company. You can choose between traditional home and garden products to once-in-a-lifetime experiences, plus add cash contributions towards your honeymoon or even flight upgrades, giving you the opportunity to create the ultimate wish list for your wedding day. A team of personal shoppers with interior design expertise is on hand to help with inspiration and they can also add items from any UK website to your gift list if you need them too. The service is completely free to use and there’s no need to worry about missing money or presents as your guests buy direct from major retailers. You can opt for gifts to be taken to the wedding or delivered direct to your home. For £39, Prezola’s Premier Service gives you the option of having them all delivered at once on a date to suit you. Think about the timing of your wedding and when food and drink will be available. Starting a wedding between 12noon and 2pm will mean guests have probably been rushing to make it there and not had much time to think about lunch. If you can provide a little snack or at the very least a drink on arrival or directly after the ceremony then do it. It doesn’t have to be alcohol or canapes! Use your imagination and check out our previous post for hints and tips. Expensive wedding gifts always grind with guests. No-one likes a greedy pants and putting personal gifts like the latest games consule or GHD’s on a wedding list can look a bit off, as does a gift list with a minimum present price of over £100. Make sure you mix the list up a bit with gifts of varying prices or use a Honeymoon payment scheme so guests can donate what they want and help you to have fun as you start your married life. 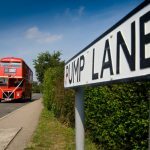 If your wedding is out in the sticks or a long way from public transport then you will need to think about making sure your guests can have a good time and get home safely. Hiring a bus (red or otherwise) to take guests on mass back to a town centre or local hotel would be fantastic but if your budget doesn’t stretch that far at the very least make sure you book some cabs in advance. That way guests aren’t left without a ride home as sleeping in the Church generally isn’t an option. It never fails to raise a quiet chuckle when you pass around the “Guest Book” and see the looks you get. It ranges from a ‘kill me now I have literally nothing to say’ to ‘yes I’m taking it from you but I’m going to pass it on quickly when I think no-one is looking”. There’s nothing worse than having to write something heart felt and witty into a book once you’ve drunk half your body weight in wine. There’s loads more options out there now from Polaroid Camera Pictures hanging on a washing line, to finger print trees and Quiz books about the Bride and Groom to help your guests along a bit. Much more original and much more fun. This is a pet hate, maybe because I should only really ever live in the Caribbean, but I hate being cold. To be MADE to get cold is even worse. If you’re having a Winter wedding make sure your venue won’t shove your guests outside in the driving rain or snow whilst rooms are being changed around. If you’re having your ceremony in a Church check with Father George that it’s alright to have the heating on so your guests feet don’t get frozen to the floor. 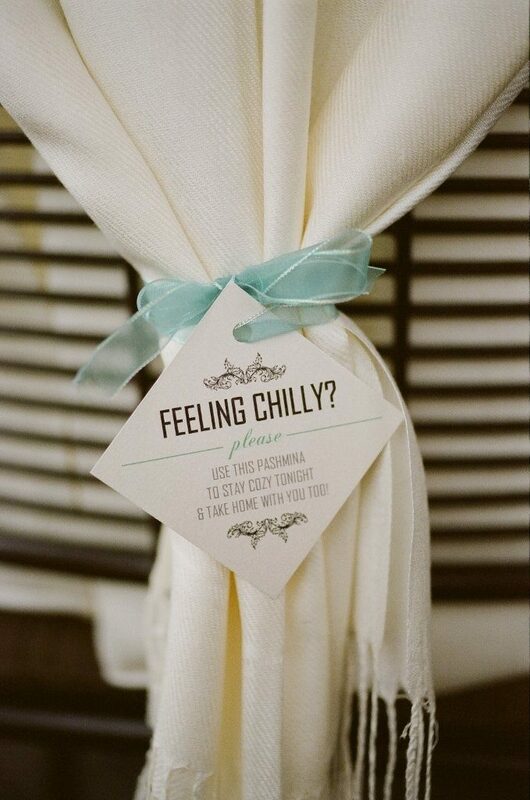 English Summer weddings will also have the chilly evenings to contend with so how about having some wraps or blankets on hand. That way your guests can get nice and toasty and still feel the warm glow of your wedding long into the night. Remember if you look after your guests first, everything else will fall into place and your suppliers will also be more than happy to bend over backwards to make sure your guests get the best service possible. As fans of anything gorgeous and paper based our little hearts skipped a beat when we stumbled upon Illustries last month. The two ladies behind this gorgeous range of wedding albums (with a difference) are Emma Penrice and Samantha Neal. We chatted with Emma who told us that they started Illustries, using their already well honed skills as a graphic designer and copywriter, when she couldn’t find a unique way to keep her wedding memories out of a dusty storage box – and wow what a way! These bespoke memory books combine photographs and words into one stunning memento from your big day. All the elements of your wedding are in there including vows, speeches, readings, messages and loads more – whatever you want included basically! What’s more every element of your wedding story layout can be chosen by you, from the colours to the graphics and of course the images. We just love this for a wedding album that is totally unique and pulls together everything in one coffee table book stunner. Besides wedding albums they have other bespoke items such as tea towels, framed prints, posters and guest books so whizz over and take a look. Or if like me you’ve got a tatty wedding memory box and photo CD shoved in the loft pull it out and let Emma and Samantha work their magic!